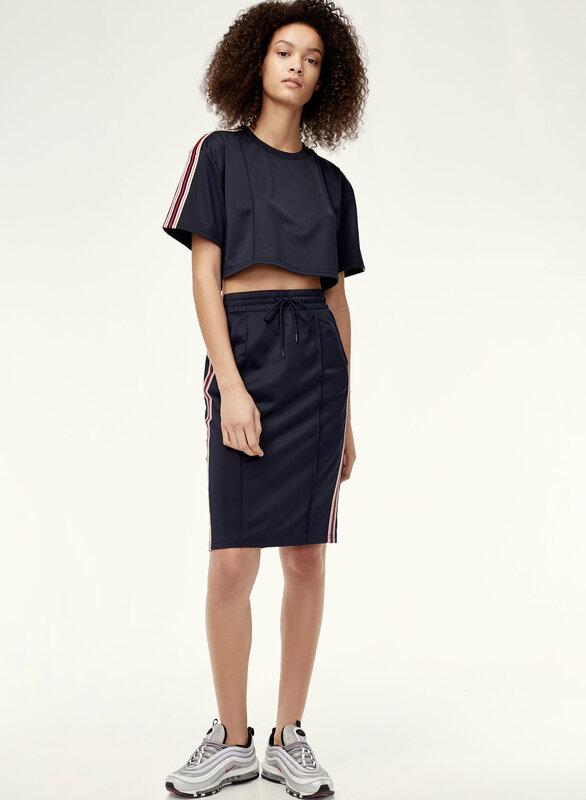 Styled with cimarra skirt . 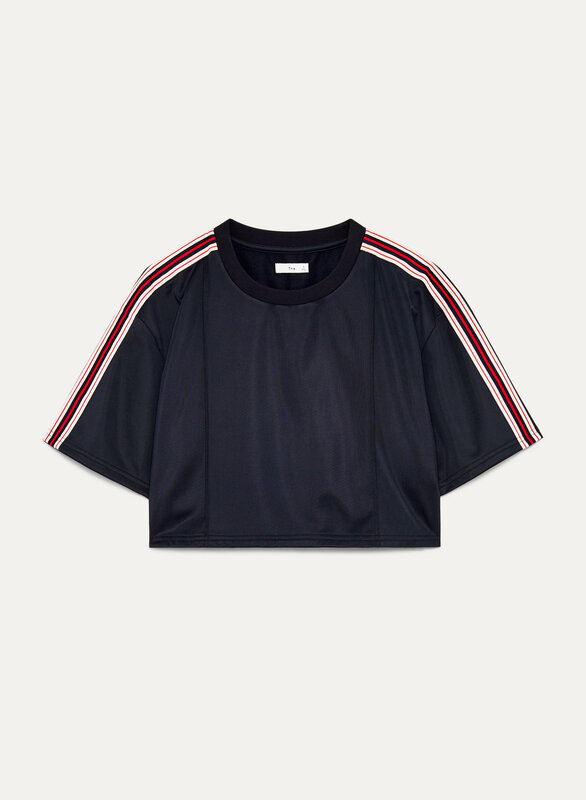 Cropped and relaxed, this crewneck tee is made from a brushed fabric that’s soft and comfy. 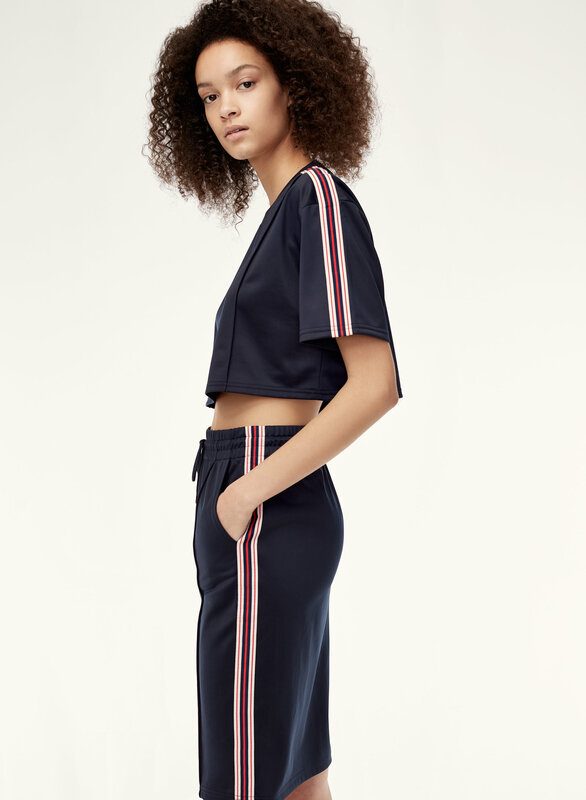 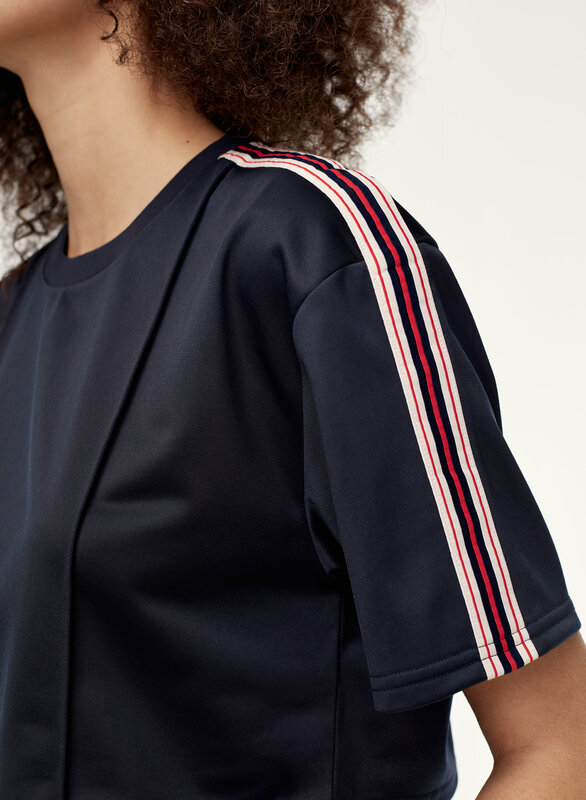 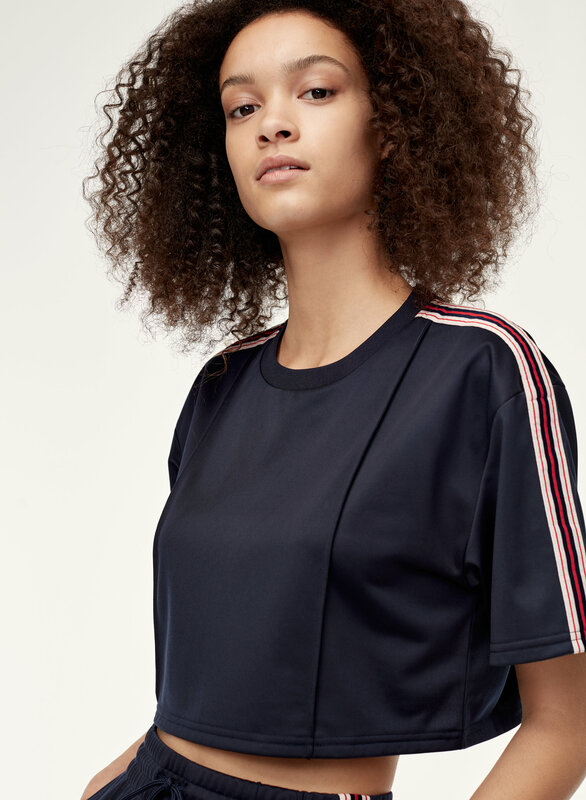 Athletic stripes along the shoulders channel the look of classic sport jerseys.